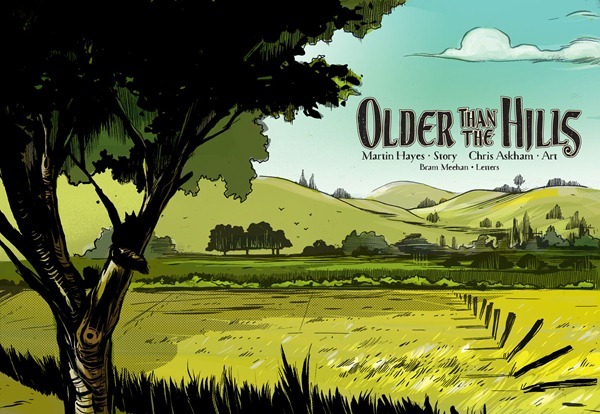 My next comic project is called Older Than the Hills and will be appearing in volume 18 of David Lloyd’s digital comic Aces Weekly. 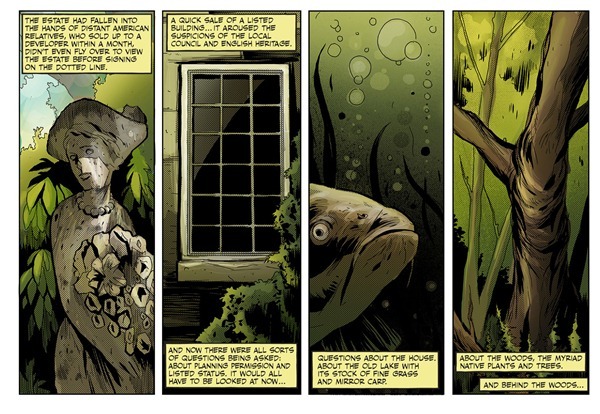 It’s a story about desire, and history, and the creeping influence of ancient, unseen forces. I’m calling it a “pastoral science fiction story”. Just to annoy people, really. Very happy to be working with the old Abominable Glory team again. 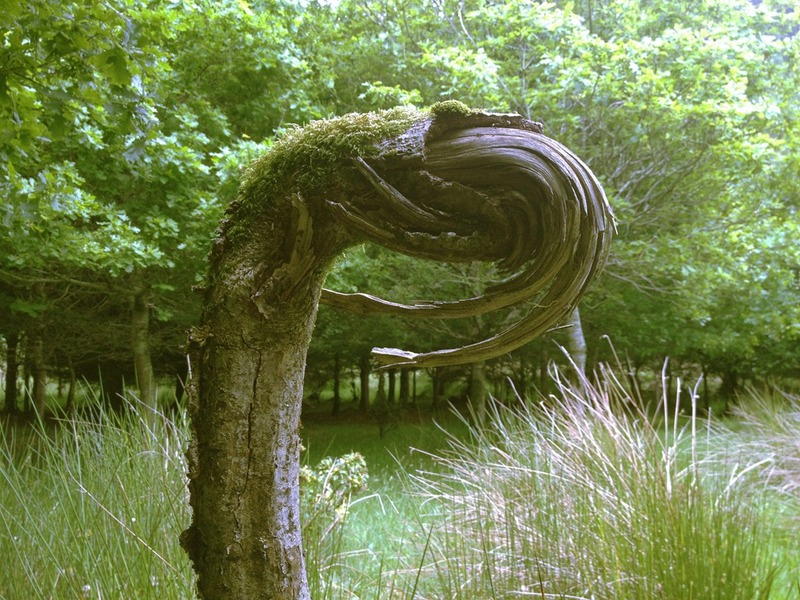 Chris Askham on art, Bram Meehan on letters. And both doing a superb job, as always. 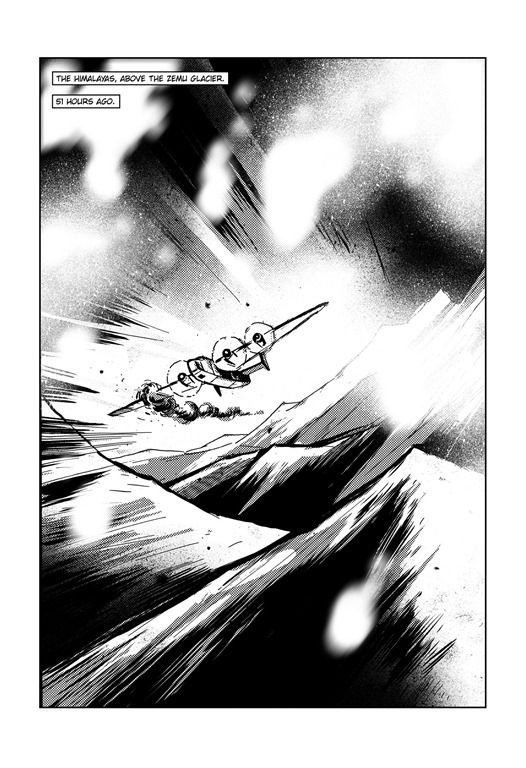 The story will run over seven issues, for the entirety of volume 18, and launches on the 7th of September. You can subscribe here. 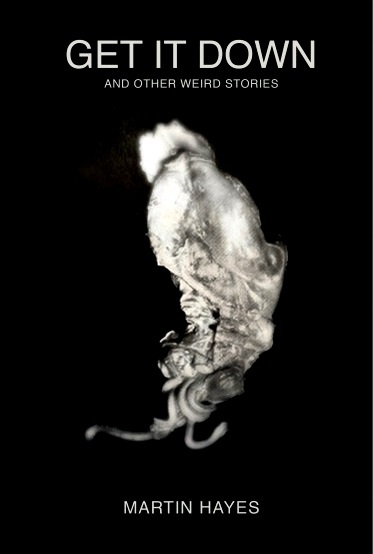 And here, just for you, is the first instalment. I hope you’ll check it out. 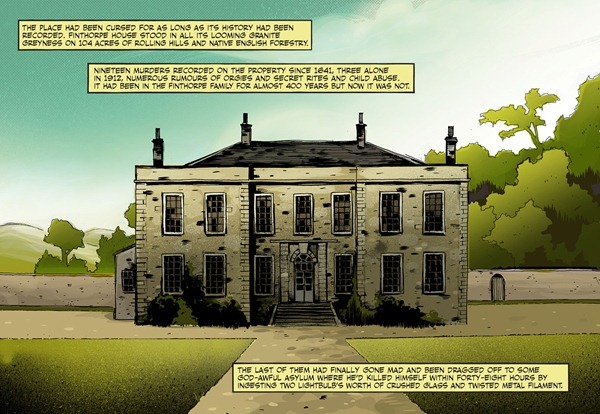 Back in March, Chris Askham and myself took time out from launching Abominable Glory at LSCC to have a chat with the always affable Chris Thompson of the Orbital Comics Podcast. Click through if you want to hear us banging on about comics and yetis and god knows what else (I was pretty hungover). Think we come on and bore everyone to death around the 48 minute mark. Following on from last week’s tribute to my good friend Herb Trimpe (which you can still listen to here), this time I’m back with a series of interviews recorded *live* in the inaugural Podcast Alley at the recent London Super Comic Con. First up, Alex Paknadel chats about his new series Arcadia from Boom! 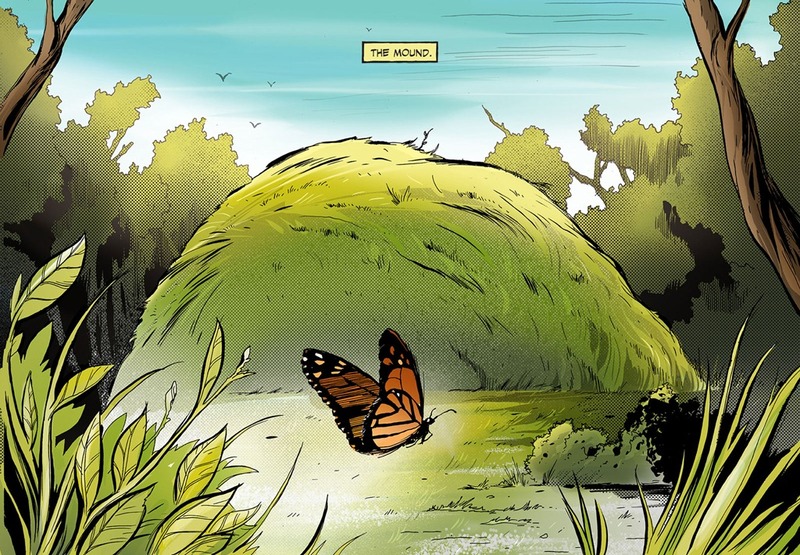 Studios, then I ‘find’ Sam Read to discuss his work with Comix Tribe, Martin Hayes & Chris Askham come by to talk Abominable Glory, and 2000AD‘s Mike Molcher pops in to hype their podcast & other activities. As if that’s not enough, I’m also joined at the pub by Hunter Gorinson & Andy Liegl from Valiant Entertainment for a post-con drink. We chat about what’s happening in their world, where readers can start exploring the Valiant universe, and how they found their trip to London. And never fear, you can still enjoy the Pop Culture Hound back-catalogue right here, as we continue to put out the same quality interviews and discussion with Orbital in Conversation going forward. It’s only gonna get better, folks! 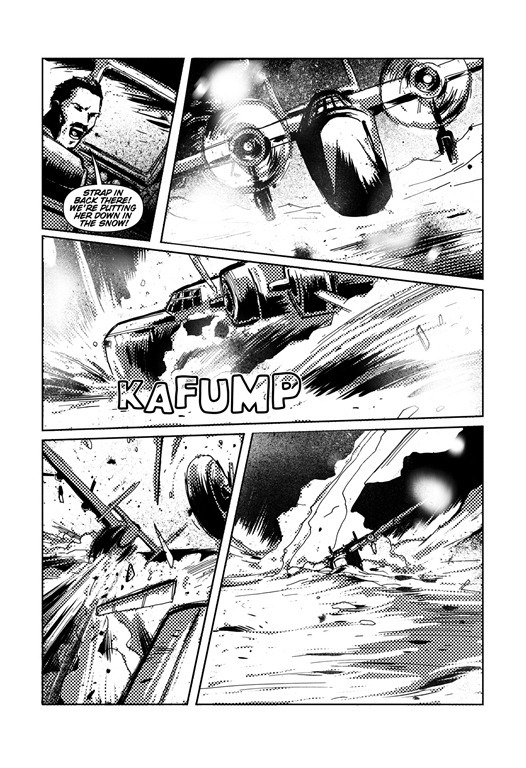 My next graphic novel is called Abominable Glory and will be launching at London Super Comic Con on 14th and 15th of March 2015. I’ll be there, as will the artist Chris Askham. Check the press release below for signing times and whatnot. There’ll be some reviews and such cropping up in the coming weeks. Good to see this finally creeping into the daylight. It’s a story I’ve had knocking around the mouldering recesses of my brain for a good few years. A bit of a love letter to the cryptozoology books I read as a boy, and to the war comics I grew up with; Battle Action, Commando and the like. As always with comics this was a real team effort. A yeti-sized round of applause goes out to Chris Askham for his amazing art, Bram Meehan for his top-notch lettering and design work, and Matt Soffe, for his superlative cover. Bonus material includes concept sketches, script-to-art samples, an essay about how the books and tv shows of my youth provided the seeds for this project, and pin-ups by Jamie Chase and Marc Jackson. 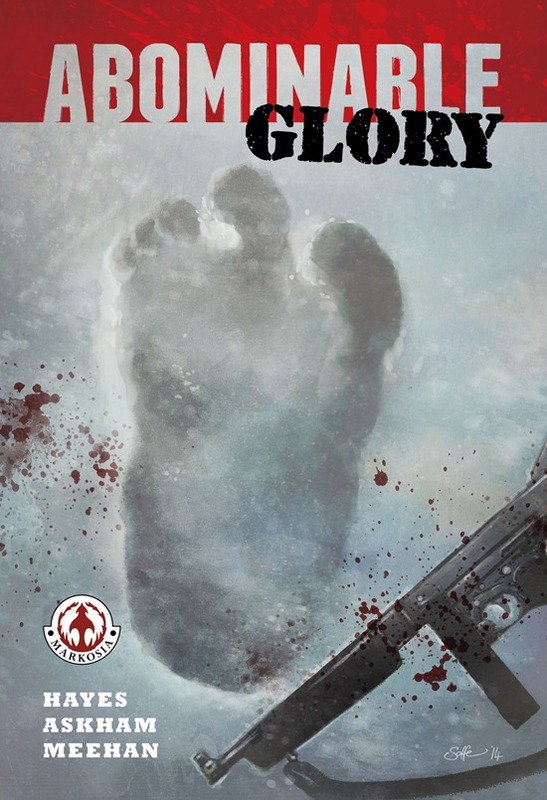 Abominable Glory is published by Markosia and will launch at the London Super Comic Con in the Excel Centre on Saturday 14th of March, 2015. 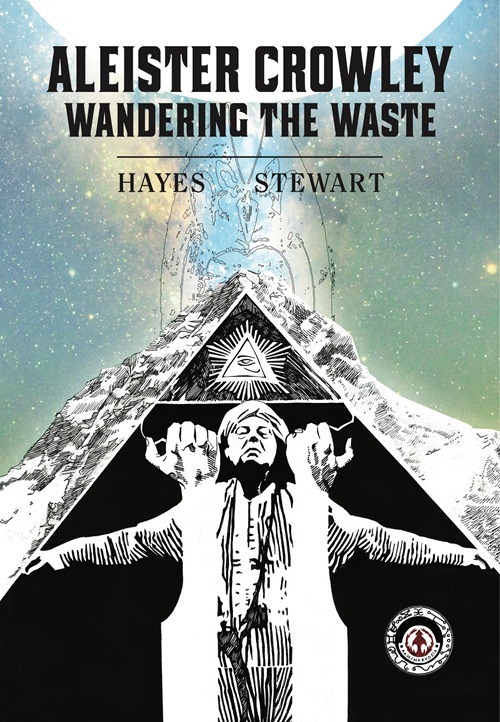 Written by Martin Hayes, whose previous projects include the graphic novels Project Luna: 1947 and Aleister Crowley: Wandering the Waste, and with art by Chris Askham, who has illustrated for Siti’s Sisters, Zarjaz, and DogBreath, Abominable Glory is 80 pages of grey-scale monster mayhem. 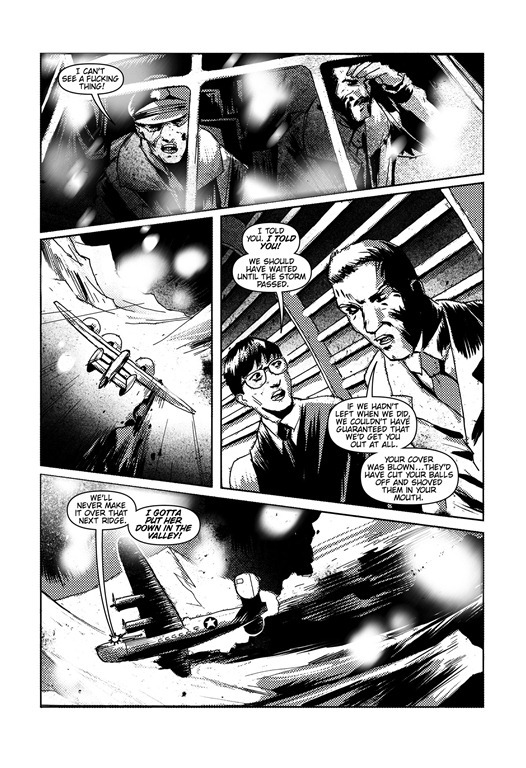 Martin and Chris will be signing at the Markosia booth from 10-12 on the Saturday and Sunday of LSCC. 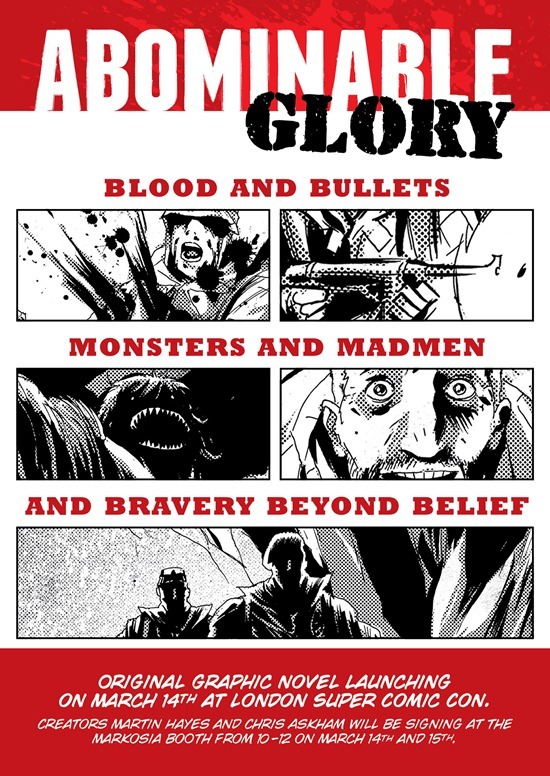 Abominable Glory is currently available to pre-order at amazon.co.uk., amazon.com, and direct from Markosia. I’ll be selling signed copies here as soon as I get them. Since getting laid off from the shipyard in mid May I have done just about bugger all of anything. This must change. So, time to kick into gear and push on with some projects that have been malingering in the edgelands for too long. While I’ve been dawdling things have been chugging along nicely. The Crowley book is out in the wild. The signed limited edition sold out in under 24 hours. The regular edition is still readily available. 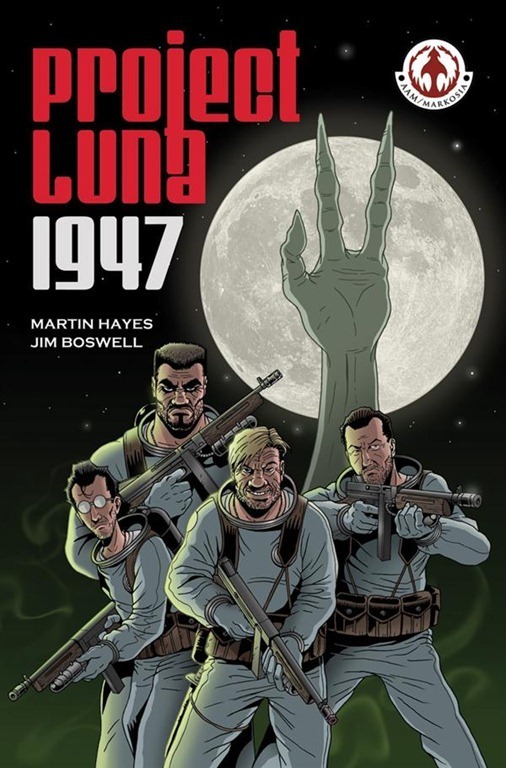 Project Luna: 1947 is out there in trade paperback. Still a few hardcovers knocking about too. 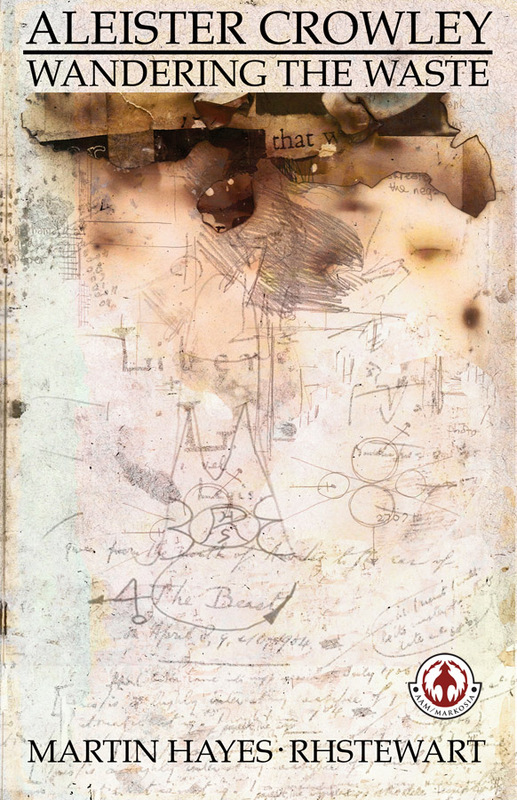 Get It Down & Other Weird Stories, which collects fourteen of my short stories (ten previously published in magazines like Nature, Supernatural Tales and Innsmouth Magazine, along with four stories seeing the light of day for the first time) will be released towards the end of August. But it’s time to get a move on with the new stuff. I’ve got a few short stories out there, just need to keep them in circulation until, hopefully, an editor likes the looks of one. 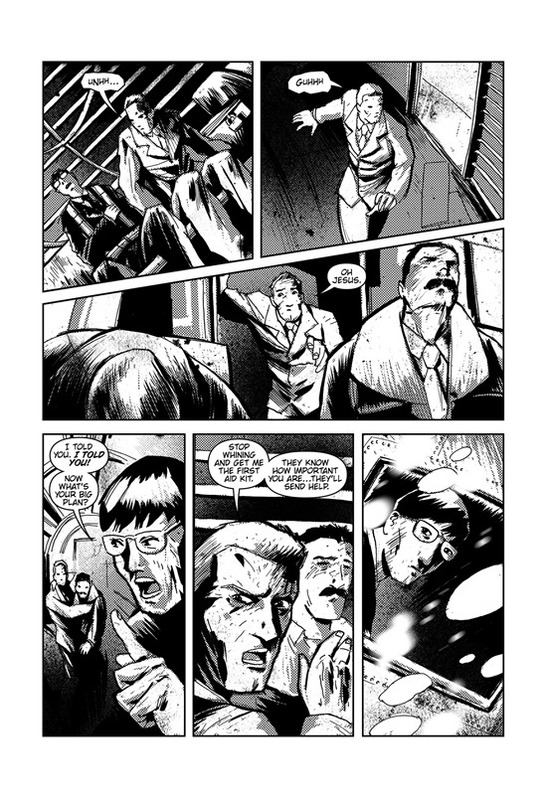 There are a few other comic projects to get off the ground too, along with a couple that got off the ground only to then develop bad knees and rickets before collapsing face first into the dirt. Time to kick them back into life. Or kick them to death and have done with it. Better than having them hanging around in limbo. Not long now until Thought Bubble in Leeds. Roll on November. I’ll be singing at the Markosia table on both days. Times to be announced. And it’s off to London the following weekend for what promises to be an exciting event involving my old pal and Crowley artist extraordinaire Roy H Stewart. 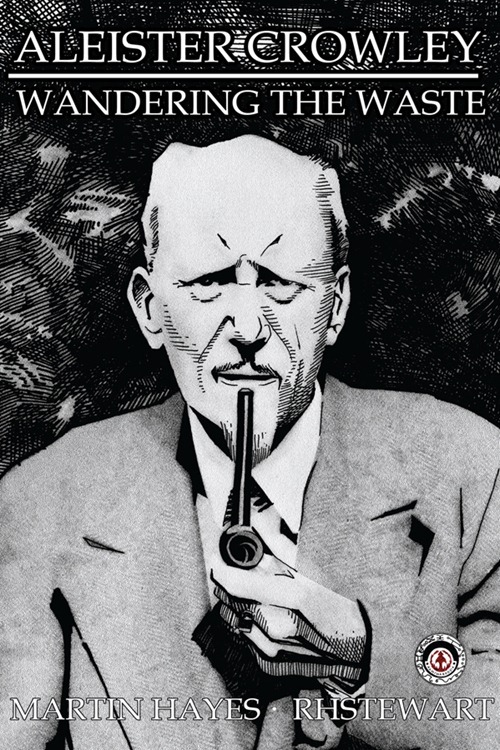 As Roy said to me recently, “Turns out the occult is a very friendly place.” I’ll post details here once it’s all announced. I’ll just put the kettle on first.